In the spring of 1944, the village of Foucarville was occupied by the 1st Battalion of Grenadier-Regiment 919 (709 Infantry Division) commanded by Hauptmann Fink, who installed his command post there. The municipality is located north of the coded “A” jump zone designated by the Americans for the release of the 502nd Parachute Infantry Regiment (101st Airborne Division) commanded by Colonel George Moseley. This regiment, through the 1st Battalion under the command of Lieutenant-Colonel Patrick F. Cassidy, is responsible for securing the most northerly causeways connecting the Utah beach and the inland through wide flooded marshes. 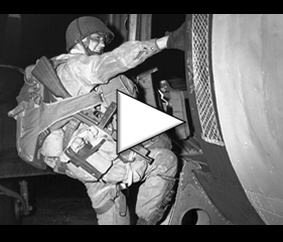 In the early hours of June 6, 1944, parachutes on Normandy began. The first battalion of the 502nd Parachute Infantry Regiment (PIR) is not being dropped at the planned location, but US paratroopers are moving towards their targets without delay. Several airborne units are mixed up due to these dropping errors: about 180 paratroopers belonging to the 2nd battalion of the 506th PIR gather at night near Foucarville. They were joined by some twenty paras of the 508th PIR (82nd Airborne Division) and, at 3:30, by Lieutenant-Colonel Robert L. Strayer commanding the 2nd battalion of the 506th PIR accompanied by fifty other paras. These elements unite their strength and head south at 4:30. But immediately south of Foucarville, before Saint-Germain-de-Varreville, they were taken to task and fixed there until noon by the adversary. A detachment of 45 soldiers from company A of the 502nd PIR led by Lieutenant Wallace A. Swanson is sent to the Foucarville sector to block roads 17 and the departmental road 14. Shortly after noon, he set up four roadblocks. Meanwhile, the Germans deployed numerous reinforcements from the north of Cotentin, in particular the Sturm-Battalion AOK 7 and the Panzerjäger-Abteilung 709. Four vehicles are detected on the road between Beuzeville-au-Plain and Foucarville: they are stopped And destroyed by the action of Lieutenant Swanson. At the end of the day, the northern outskirts of Foucarville are run by the men of Swanson. The 22nd Infantry Regiment (4th Infantry Division) commanded by Colonel Hervey A. Tribolet arrived in reinforcements and settled for the night south of the village. 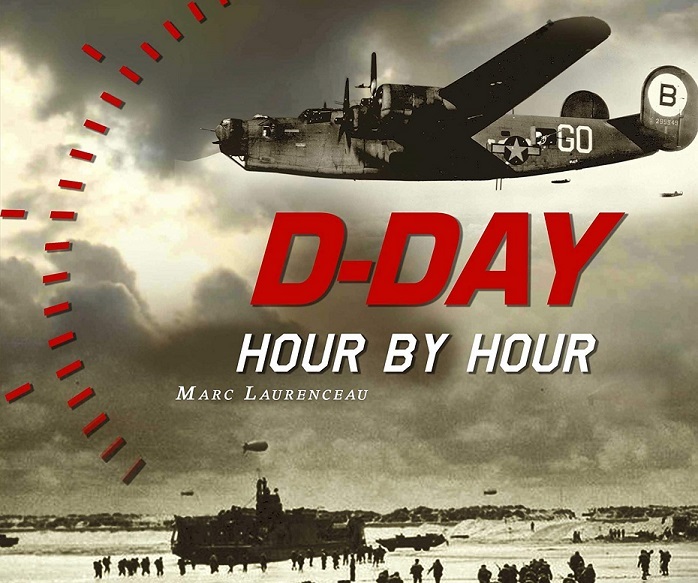 The next day, June 7, 1944, the 1st Battalion of the 22nd Infantry Regiment launched its offensive towards the north and continued its progression over more than two kilometers.